Our April 2015 selection of reviews from BlueInk Review, a service which reviews self-published books. 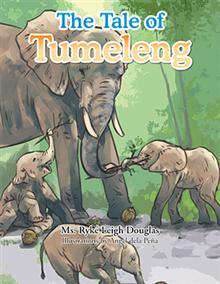 The Tale of Tumeleng, by Ryke Leigh Douglas: Douglas’s outstanding picture book tells the story of Tumeleng, a young elephant growing up in Africa. 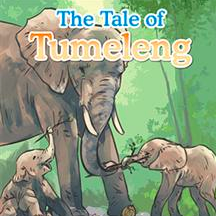 The story recounts realistic events in the young elephant’s life, while also preserving her animal nature and conveying the real dangers elephants face in the wild. Douglas’s prose is gentle and evocative, without ever ringing a false note, and the book is enhanced with excellent illustrations. Children, particularly those in grades 2-4, will enjoy this fictional glimpse into the lives of these majestic creatures. Author residence: Sinking Spring, Pennsylvania. Read review. Hospitality Management, by Lyn Pont: Pont has created a reference book that, while aimed at the hospitality industry, covers virtually every social situation readers may find themselves in: celebrations, rites of passage, travel, gratuities, dining, handling oneself in international situations—even electronic etiquette. Pont writes in a crisp, humorous style, delivering a book for anyone who coordinates business and social events, or who needs to put their best foot forward in a wide range of social situations. In other words, it’s a book for everyone. Author residence: Coral Gables, Florida. Read review. The following books did not receive Stars but were highly praised by our critics. The Legend of the Tooth Fairy, by Barbara Woiciak: Questioned by their children, many parents have struggled to come up with an origin story for the tooth fairy. Wojciak offers her answer in this sweet picture book that recounts how the tooth fairy — looking for something bright and shiny to keep the lonely moon company — began gathering teeth. Well told, with clear, understandable language and a lyrical, singsong delivery that doesn’t trip itself up with rhymes, this cute, enjoyable book is a perfect bedtime story for young readers. Author residence: Harpersville, Alabama. Read review. 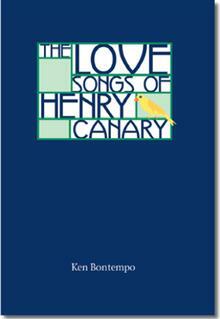 The Love Songs of Henry Canary, by Ken Bontempo: The protagonist of this intriguing road novel is a truck driver, writer, computer wiz, failed husband and traumatized Vietnam vet: In short, Henry Canary embodies both the best and worst traits of the restless, questing spirit of America from the 1950s to the 1980s. The fact that, as the story unfolds, Henry loses two brothers, an infant son and the love of his wife, and is plagued by war guilt and driven to sexual adventurism, endears us all the more to this imperfect character. Henry Canary comes off as a classic American archetype: tormented and bewildered, but ennobled by his search for Light. Readers will appreciate meeting him through this tale. Author residence: Delray Beach, Florida. Read review. Under Lock and Key, by Robin Geesman: Incorporating elements of horror, medical mystery, and cybertech science fiction, this novel, the first in a trilogy, offers a well-paced, inventive plot. After surviving an attack from her father following her mother’s hideous murder (apparently by her father), Saedie Parks and her siblings end up on ventilators with serious brain injuries. A government research program plans to insert prostheses — computer chips loaded with images of their past lives —into the children’s brains, but things don’t go as planned. Fast-paced hospital banter, a confiding narrator, and enjoyable characters are pluses, making for a gory and gripping thriller. Author residence: Alexandria, Louisiana. Read review. Radical Survivor, Nancy Saltzman: In this heartfelt memoir, Saltzman, a Colorado educator, weaves her life and its personal tragedies into a story of courage for others. After battling breast cancer, Salzman found herself confronted with yet another terrible tragedy: the death of her husband and two sons in a private plane accident. Retracing her life to understand what helped her survive, she recounts her story without self-pity, offering a candid, poignant, and even humorous memoir. There is also a happy ending and much to glean here on how to behave when confronted with grief. Author residence: Colorado Springs, Colorado. Read review. The 4Ps Framework: Advanced Negotiation and Influence Strategies for Global Effectiveness, by Yadvinder Rana: This textbook on advanced negotiation strategies breaks new ground. While including the requisite chapters on power, decision making, the role of luck and other topics found in every serious negotiation text, Rana centers his narrative on the issue of cross-cultural negotiation. He argues that unless managers take into consideration the impact their negotiating technique has on the culture with which they are doing business, they are doomed to failure. The book brings to the table a long overdue multicultural approach to negotiation and deserves a wide readership, as well as possible course adoption in social science and international studies’ programs. Author residence: Torino, Italy. Read review. Sacred Relationships: Psychology for the Soul, by Dr. Kate Pola Brooks: Brooks has traveled the world looking for ways to help people heal themselves through understanding of soul-based relationships. Here, she asserts that equality in relationships is achieved when we love others and ourselves and engage in “healthy thought processes” that “free us to Be.” Brook’s teaching is forthright and positive, couched in emotive, not scholarly, prose befitting someone whose self-led study on four continents has shaped her practice. Her wide-ranging knowledge and vision of relationship building is certain to appeal to those wishing to explore their inner landscapes. Author residence: Dunwoody, Georgia. Read review. If you are interested in receiving notices in your email inbox of other notable titles, please sign up for our mailing list. We also invite you to visit our website: www.blueinkreview.com.